MAYBE it is a small pig, maybe it is a poisonous mushroom, maybe it is a patched gourd. It is the most often appearing character in the manga of Osamu Tezuka. It is called Hyoutan-tsugi, and it appears in almost all of his manga, even in the very serious works. 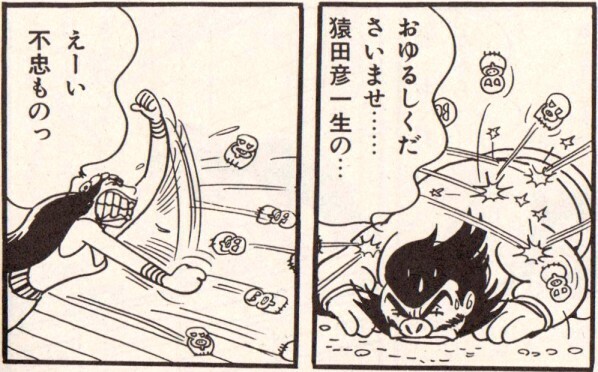 The sudden appearance of Hyoutan-tsugi is one of the tricks that Tezuka uses to create comical relief in his manga. The character can be used in many other ways, too. 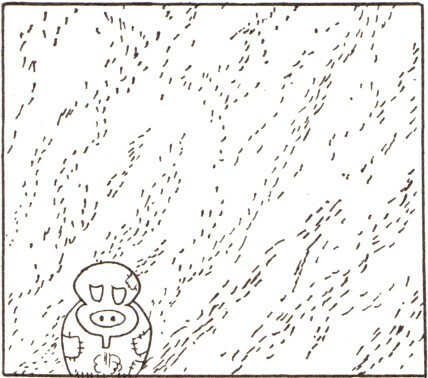 Sometimes Hyoutan-tsugi gives emphasis to the sadness of a situation. Sometimes it illustrates aggression, and it can be even used as a weapon. Sometimes other angry or embarrassed characters change to resemble Hyoutan-tsugi. 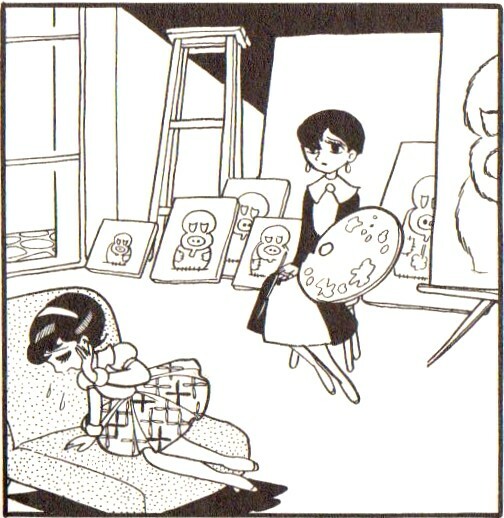 Hyoutan-tsugi originates from a drawing by Tezuka’s little sister. The name Hyoutan-tsugi means ”a patched gourd”. Tezuka has described Hyoutan-tsugi as having a slippery, smooth skin with two depressions in the upper part. It’s two ”whites” resemble eyes that roll unpleasantly. It seems to watch you and to hold a deep grudge. It’s head is in the front of the swollen stalk. Under the eyes there is something that looks like a pig’s snout. Here are some examples of Hyoutan-tsugi’s appearances. Black Jack (Burakku Jakku, 1973-1983) is a manga about a very skillful and strangely moral doctor. This time, Hyoutan-tsugi reflects the feelings of a woman in love. 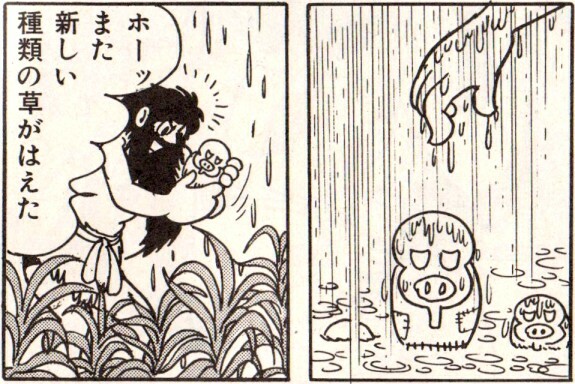 This Hyoutan-tsugi comforts professor Ochanomizu by the sickbead of Astro Boy (Tetsuwan Atomu). 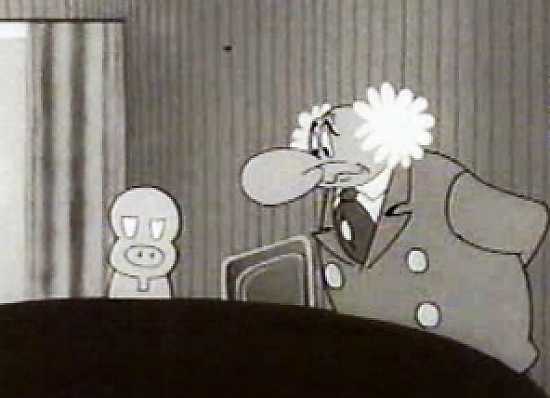 The scene is from an early Astro Boy animation created in 1963. In the manga Janguru taitei (1950-1954) Hyoutan-tsugi meets a snowstorm in Africa. The related animation is known in English by the name Kimba the White Lion. It's characters and images were widely utilized in Disney's movie The Lion King, even though the relationship was never officially admitted. In Dororo (1967) Hyoutan-tsugi appears in the light of the rising Sun, depicting hope. Dororo is a little orphan thief, who forces himself to the company of Hyakkimaru. The youth Hyakkimary fights to gather 48 body parts of his that where divided between demons. 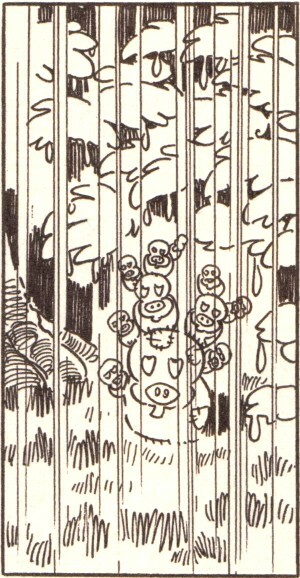 In the western story Saboten-kun (1953) Hyoutan-tsugi falls from the sky, hit by a stray bullet. In Hi no tori (Phoenix, 1967-1988) Hyoutan-tsugi is picked up as a new plant species. Hi no tori was Tezuka's most ambitious manga, covering all history and future. The work was never finished. There are many appearances of Hyoutan-tsugi on Hi no tori. 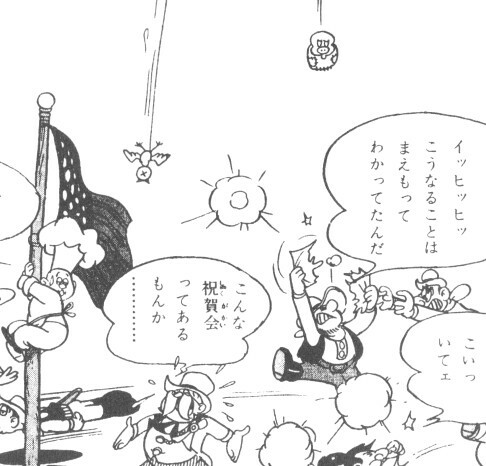 In this scene the angry queen Himiko throws a bunch of Hyoutan-tsugis. Here Hyoutan-tsugi visits a Russian beer parlour. The scene is from the manga Tsumi to batsu ("Crime and Punishment", 1953), based on Fyodor Dostoyevsky's famous book. Hyoutan-tsugi's role is exceptionally large in the manga Enjeru no oka ("The Angel's Hill", 1960). In this story Akemi's mother thinks herself an artist, and she paints images of Hyoutan-tsugi only. 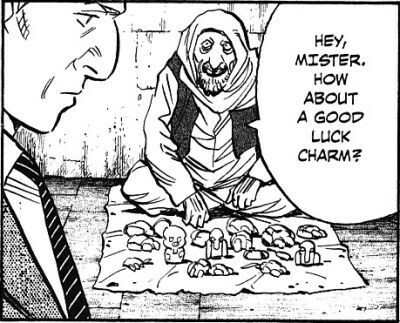 Hyoutan-tsugi is such a basic personality in Tezuka's manga that it is quite normal for it to appear also in Naoki Urasawa's Pluto. Urasawa's Pluto is a retelling of one of Tezuka's Astro Boy stories.